SRHA monthly meeting is the Second Tuesday of each month from 11:30 a.m. to 1:00 p.m. The monthly meeting is open to any member of Salem Rental Housing Association or anyone interested in joining. Guests welcome but are asked to join after two meetings. The agenda includes a half hour open forum for member questions and responses and an hour long presentation by a special speaker on topics related to property management or of interest to our members. Real Estate Credit Hour Certification is available for those who attend meetings and need license hours. Certificates are available on request with a $10 fee. This class is an excellent training foundation for beginners and serves as an exceptional review of current laws and management for experienced landlords. From advertising your vacant property, through problems during occupancy to ending the tenancy, this class will help you step-by-step. There will be plenty of time available for your questions. If a registrant is a No-Show we will give their spot away to waiting "walk-in" attendees after 10 minutes. There will be no refund of their money. Full payment must be received 2 days before the seminar !!! NO refunds unless cancellation is received 72 hours prior to seminar !!! Price per person includes course materials & lunch! 3 Real Estate Continuing Education Credit Hours!!! IT'S ALL ABOUT THE FORMS! This seminar is designed as an instructional guide to successfully manage the aspects of a tenancy. Everything from finding a good tenant to ending the tenancy involves proper completion of paperwork. 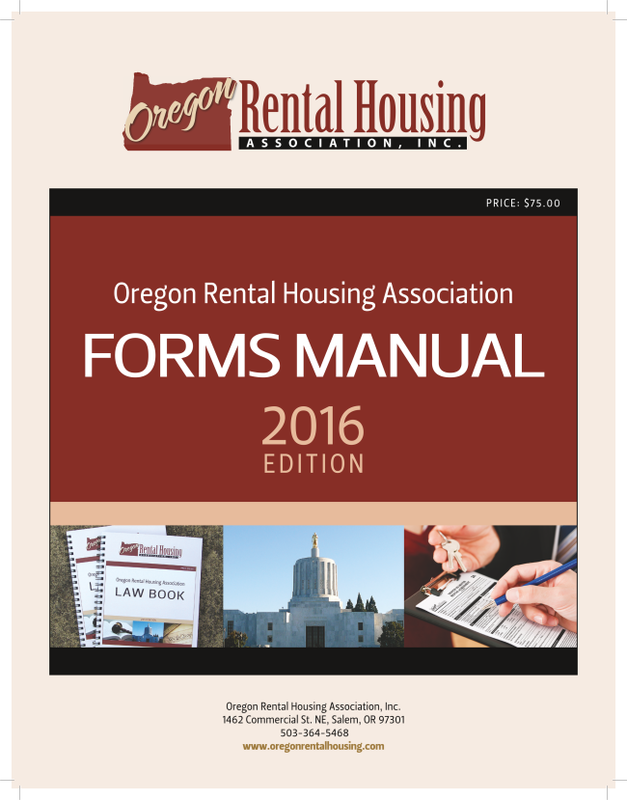 The Oregon Rental Housing Association provides forms that cover most of the needs of owners and their agents. This course covers which forms are available, filling out forms and explaining terms meanings and the implications and consequences of using the forms. It will also include forms updated to recent legislative law changes. July 27, 2017 IT'S ALL ABOUT THE FORMS! July 16, 2015 Linn-Benton Seminar: "Roommates and Breakups"